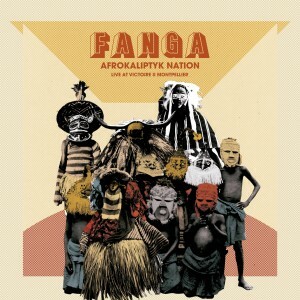 For the last ten years or so, the collective ëFangaí has been on the up, blending afrobeat, jazz and funk and playing a music that is eminently spiritual. Fanga means ëstrength of convictioní in Dioula and the commitment of the group is emblematic of its name. An alliance of complementary personalities and cosmopolitan energies, Fanga first took form in 1998. Returning from Africa, Serge Amiano brings back a few vinyls of the likes of Fela, CS Crew and CK Mann that he plays to the Burkinabese rapper Korbo. Amiano being a hip-hop producer naturally takes on the role of the groupís artistic director right from the start. The discovery of this urban African music of the 1970s quickly forms the basis of a shared passion. In 2000 the album ëBlack Voicesí by Tony Allen definitively seals Fangaís birth and its afrobeat foundations with an obvious orientation towards dance and the solid relationship between the eight members of the group. 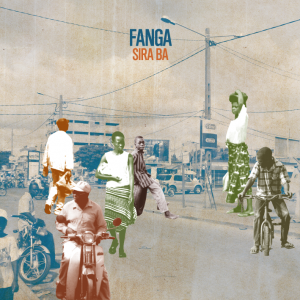 Fanga brings out its first six tracks in 2001 with a minimal rhythm section. Joined by the bass player Rajaneesh Dwivedi and the drummer Samuel Devauchelle, the group records ëAfrokalyptikí in 2003, its first album. The following album ëNatural Juiceí, out in 2007, highly praised by Gilles Peterson as well as the New York magazine, Wax Poetics, establishes the group’s stylistic grounding, catching a lot of attention. 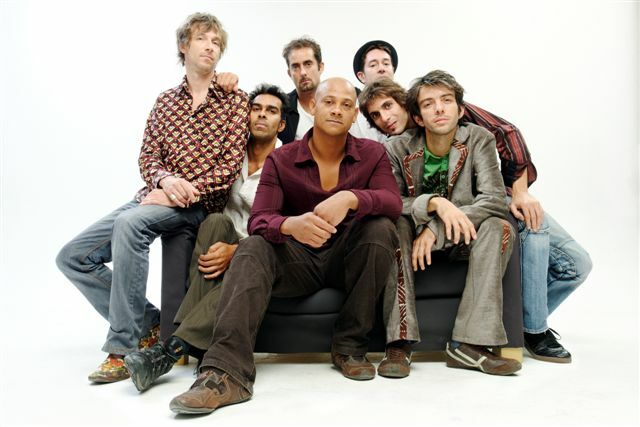 In spring 2009 they record a third album ‘Sira Ba’ (‘The Long Road’), much acclaimed by such magazines as World Sound and Vibration. The wave of radio attention went as far as a selection FIP and a Radio Nova playlist. Alternating drawn-out lyrical climaxes, explosive brass passages, killer riffs and melodic ease, ëSira Baí displays a powerful force of conviction, reflecting an uncompromised musical complicity and an impressive flow of energy. Julien Rauletís guitar work reacts perfectly with the keyboards of David Rekkab and the percussion of Eric Durand. Having played with Antibalas, Seun Kuti and Kokolo, Fanga has nurtured solid relationships within the international afrobeat community. In the studio, the groupís path crosses that of Tony Allen and the sadly demised Segun Demisa, both pillars of Fela Kutiís Africa 70, as well as that of the iconoclastic rapper Mike Ladd, the Jamaican Winston McAnuff infuses a reggae accent in I Go On Without You, whereas the Togo All Stars Orchestra shines out like a thousand fires on Dounya, one of the strongest and most jubilant of the album. Fanga launches its live project on stages across Europe, the Jazzovia Festival in Poland, The Global in Denmark, The Afrodisia in Rome and the Fela Days tour in Spain (Madrid, Seville, Saragosa), as well as at Solidays, the live ‘Nuits ZebrÈs’ on Radio Nova, Jazz sur Son 31, Jazz sous les Pommiers, Festival Coueleurs Urbaines, Africajarc, the Tribu Festival, and Jazz en Ouche to name but a few. 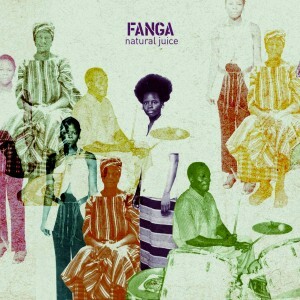 Despite being firmly rooted in certain Nigerian and Ghanean musical traditions (those of the 1970sí afro-beat and high-life) Fanga is equally at home to musical concoction, as demonstrated by the samples and other hiphop and electronic ingredients, not to mention the vocals in Dioula, English and French. The gritty horns and earthy analogue keyboards shape the groupís sound whilst Korbo has no hesitation in embracing his Mandingue roots. Flowing without restraint, Fanga exudes both spirituality and an intense persuasive power. It is home to an iron fist, characteristic of the most proud and organic of black musics. Melodious and hypnotic, the pieces developed by the group not only strive towards a groove conducive to a state of trance but is also equally appealing to the mind. Whilst avoiding lengthy discourses, revolutionary messages and the pretension of offering answers to the problems of the world, Korbo nonetheless poses serious lines of reflection, in particular, defending the right to be different as well as nurturing a deeper harmony between humankind and nature. He denounces the social injustice arising from the pyramidal economic structures that have become uncontrollable and egotistical. Newspaper headlines often inspire Fangaís songs. Brought up on the raw energy of hip-hop, the group reposes equally on certain values that even today can only be found in Africa, a sort of candour and instinctive sense of rhythm which lends such freshness to Fanga. This urge to respond when faced with a base emotion, however fleeting, has governed their musical progression since the beginning of the 2000s. Fanga takes on an entire dimension on stage, as those whoíve had the chance of seeing the group live can only agree. Once fallen under the spell of this strength of conviction, all that remains is to dance. Afrokaliptyk Nation, their first live album and DVD reveals their strength on stage and the extent of the ground they have collectively covered. A faithful record of this impressive evening the 4th December at the ‘Victoire II’, Montpellier, this latest album looks very promising.